Steeped in history, Istanbul is one of the most-visited cities in the world. Adding to its intrigue, the cultural centre of Turkey is also one of the few cities in the world that spans two continents — Europe and Asia. Divided by the Bosphorus Strait, which connects the Black Sea to the Sea of Marmara, the two continents are linked by three bridges: the 15 July Martyrs Bridge, the Fatih Sultan Mehmet Bridge and the Yavuz Sultan Selim Bridge. There is also an underwater tunnel dubbed the Eurasia Tunnel. 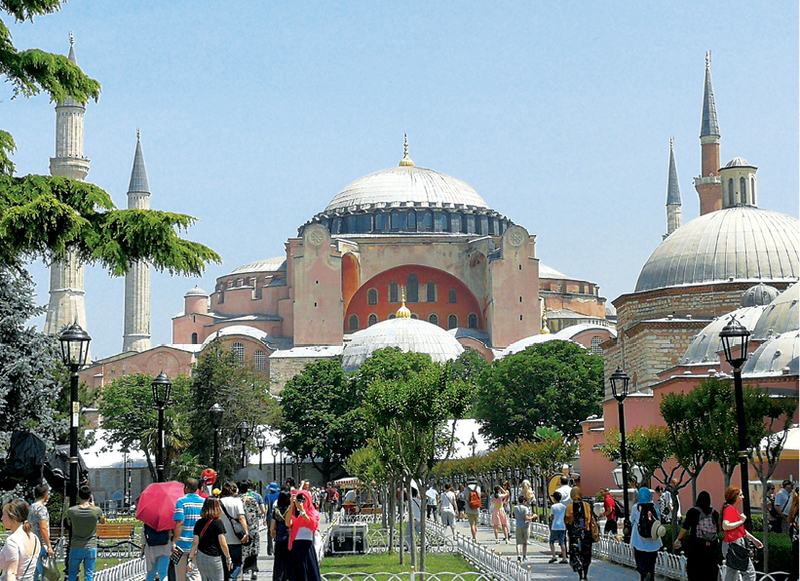 Interestingly, the locals converge on the European side to earn their bread and butter and return to the Asian side for their shelters, according to Erdem Alagoz, an Istanbul-based tour guide at Renk United Travel. “Some of the people would rent or buy a small studio unit in the European side while they are working there. And when they have a family, they will buy a bigger house in the Asian side where the house prices are cheaper,” he said. Based on online listing portal Property Turkey, a four-bedroom duplex apartment with a built-up of 240 sq m (about 2,583 sq ft) in a mixed development named Akasya, located in the Acıbadem neighbourhood of the sprawling Üsküdar residential district on Istanbul’s Asian side, is asking for €403,600 (RM1.89 million). 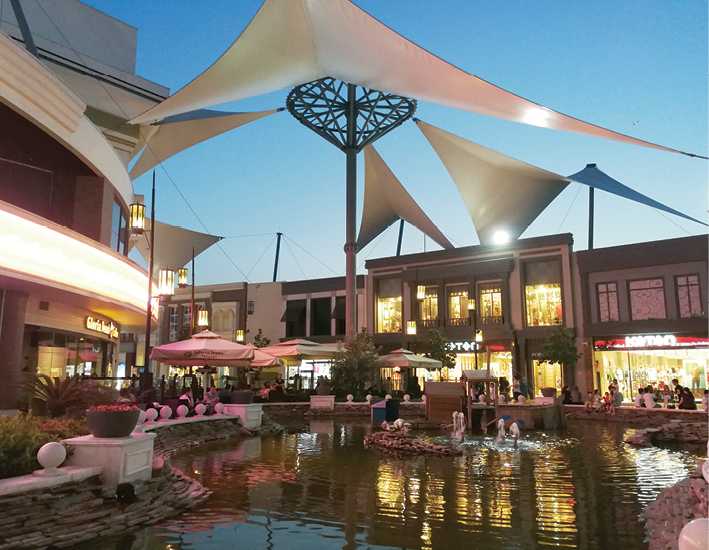 Developed by Istanbul-based real estate investment firm SAF Gayrimenkul Yatırım Ortaklığı A.Ş, Akasya is completed in 2014 and comprises apartments, offices, shopping mall, shops and a central park. Meanwhile, in the bustling Şişli district on the European side, a one-bedroom apartment measuring 100 sq m (about 1,076 sq ft) in Torun Center is asking for a much higher price of €508,700. Fully completed in the first half of 2016, Torun Center is a mixed development comprising offices, retail spaces and apartments by local real estate and construction company Torunlar REIC. According to the portal, the Asian-sited duplex unit is “perfect for those looking for easy travelling distances and commuting times to the centre of Istanbul” while the one-bedroom unit is an elegant development that offers luxury lifestyle in the central business axis. Indeed, the stark difference in housing prices has made the greater population consider it worthwhile to brave the horrendous peak-hour traffic on the three bridges every working day. According to Google Maps, travelling between Akasya and Torun Center via the 15 July Martyrs Bridge, which is a journey of about 13km, could take up to one hour during peak hours compared to approximately 20 minutes during non-peak. The situation is not unlike the Johor-Singapore Causeway and Second Link. Separated by the Straits of Johor, Malaysians would need to endure the torturous, long waiting times of at least two to three hours at both sides’ customs, immigration and quarantine (CIQ) centres during peak hours, if they are commuting to work in Singapore. The higher levels of income in the neighbouring metropolis, on top of the currency conversion rate of around 1:3 between ringgit and Singapore dollars, means a much shorter period needed to labour for and save up enough to purchase a large house in the southern city of Malaysia. This has prompted people to swarm across the two causeways to work in the Lion City but stay in Johor Bahru. A search on EdgeProp.sg showed that a 2-bedroom HDB flat with a built-up of about 797 sq ft and 71-years left on leasehold in Woodlands is asking for S$350,000, or RM1.04 million. With that amount of money, one would be spoilt for choice when hunting for a home in Johor Bahru — from a modern condominium that comes with a wide array of facilities to an exclusive low-density landed house in a gated-and-guarded precinct that comes with large green areas — and more importantly, most of them are on freehold land. Looking ahead, it would be interesting to see if the tide is going to turn in Istanbul as the Turkish government is building a new financial centre in the Ataşehir district on the Asian side of the city. Dubbed the Istanbul International Financial Center (IIFC), it is sitting on a 170-acre land and consists of a total of 45 million sq ft of office space, shopping mall, hotel, residential space and car park space, according to the master plan by HOK Architects. Expected to be completed by 2020, the US$2.6 billion (RM10.65 billion) IIFC is set to become one of the top global financial centres. Nevertheless, like two sides of a coin, each side of Istanbul has its own appeal. On the European side, historical buildings such as the Hagia Sophia, the Sultan Ahmed Mosque and the Topkapı Palace and modern offices and shopping malls like Isfanbul and Trump Towers Istanbul form an interesting blend of new and old in the city. The Asian part of Istanbul is a place where you can take a breather and slow down. 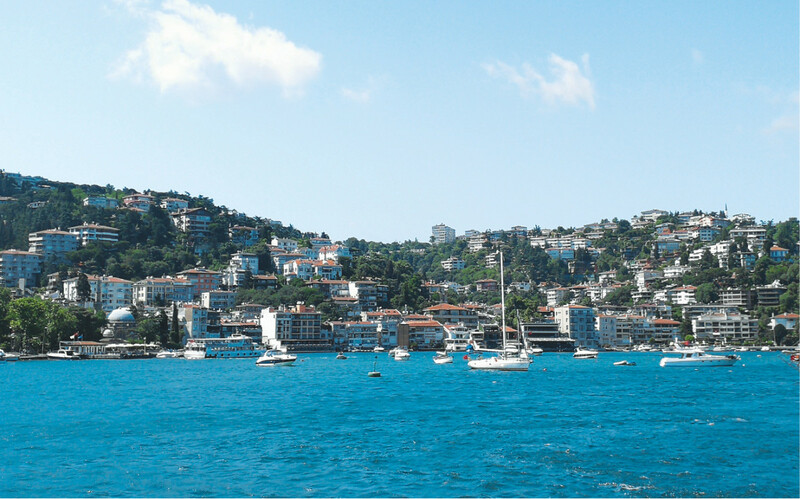 To explore the beauty of the city — you can go to the Çamlıca Hill to enjoy a panoramic view of the Bosphorus Strait and the European part; or take a stroll down the Bağdat Avenue and rest at one of the cafes along the high street. One of the best ways to explore the beauty of Istanbul’s European and Asian side is to take a cruise tour on the Bosphorus Strait, where you can immerse yourself in the spectacular view of the sea and the city. EdgeProp.my was in Istanbul courtesy of Apple Vacations, Turkish Airlines and Renk United Travel.